With Pinot Noir being one of my favourite wine varietals, just behind Barolo and Amarone, I was excited to see what Wither Hills would bring to the table, with their Two Tracks Pinot Noir. Wither Hill has long been known for its award winning Sauvignon Blanc and fittingly so as it is located in New Zealand’s Marlborough region, where Sauvingnon Blanc is the leading grape grown the area. Moreover, we’ve come to think of the Central Otago as our fail safe New Zealand area for Pinot Noir, so it was pure inquisitiveness that made us give this Pinot Noir, from Wither Hill, in Marlborough, a try. 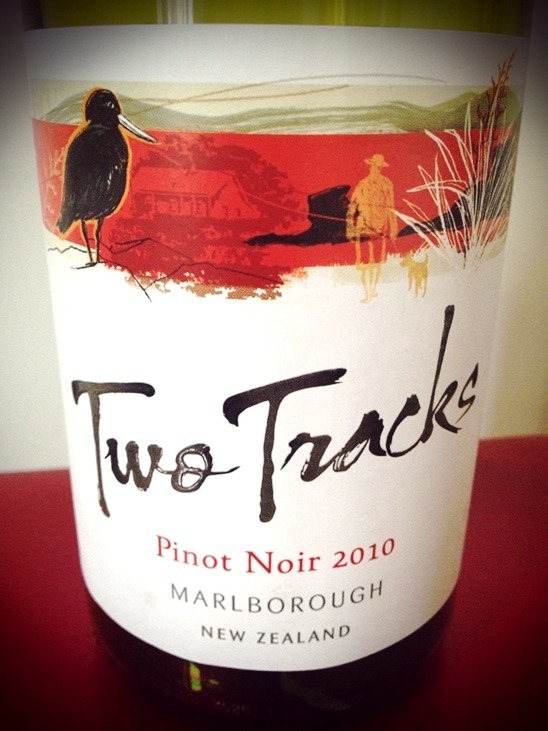 On colour, the Two Tracks Pinot Noir is a pale ruby red cast, causing one to believe in its light quality. On the nose, a burst of fruit, nicely blended with hints of dark chocolate and mild spice. On the palate, you’ll notice the wines medium dryness, differing it from the Pinot Noir’s enjoyed from the Central Otago region in New Zealand. Nonetheless, give this wine 30 minutes to open up and you will be greeted with superb flavours of dark plum, cherry and well tempered smokiness. This wine has a medium to long finish and is the perfect enduring Pinot Noir, if you are looking for the sturdier side of the varietal.